تُعتبر مدينة سمرقند ملتقى ومكانًا يجمع ثقافات العالم بأسره. فهي تأسّست في القرن السابع قبل الميلاد تحت اسم افراسياب وعرفت ذروة ازدهارها في العصر التيموريين الذي امتد من القرن الرابع عشر حتى القرن الخامس عشر وتضم آثاراها الاساسية مسجد رجستان ومدارسها ومسجد بيبي خانوم ومجموعة شاه الزندا ومجموعة غوري الامير، بالاضافة الى مرصد ألُق بك. Древний Самарканд можно определить как «перекресток» и «плавильный котел» многих мировых культур. Основанный в VII в. до н.э. под названием Афрасиаб, наивысший подъем в своем развитии город пережил в XIV–XV вв., во времена правления Тимуридов. Главные достопримечательности Самарканда – три медресе на площади Регистан, соборная мечеть Биби-Ханым, комплекс мавзолеев Шахи-Зинда, мавзолей Гур-Эмир и Обсерватория Улугбека. La ciudad histórica de Samarcanda fue una encrucijada y un crisol de culturas del mundo entero. Fundada en el siglo VII a.C. con el nombre de Afrasyab, alcanzó su apogeo en los siglos XIV y XV bajo los timúridas. Entre sus principales monumentos destacan la mezquita y las madrazas del Registán, la mezquita Bibi-Khanum, los conjuntos arquitectónicos de Shah i-Zinda y Gur i-Emir, y el observatorio de Ulugh-Beg. De historische stad Samarkand is een kruispunt en smeltkroes van culturen uit de hele wereld. De stad werd gesticht in de 7e eeuw voor Christus als het oude Afrasiab. De meest belangrijke ontwikkelingen maakte Samarkand door van de 14e tot de 15e eeuw tijdens de Timurid-periode. De belangrijkste monumenten in de stad zijn de Registan-moskee en madrassas, de Bibi-Khanu-moskee, de complexen Shakhi-Zinda en Gur-Emir en het Ulugh-Beg’s-observatorium. Hoewel de belangrijkste monumenten goed zijn onderhouden, is een deel van de middeleeuwse kenmerken toch verloren gegaan. Niettemin is er nog steeds een aanzienlijk deel van de stad bewaard gebleven, waaronder een aantal prachtige traditionele huizen. The historic town of Samarkand, located in a large oasis in the valley of the Zerafshan River, in the north-eastern region of Uzbekistan, is considered the crossroads of world cultures with a history of over two and a half millennia. Evidence of settlements in the region goes back to 1500 BC, with Samarkand having its most significant development in the Temurid period, from the 14th to the 15th centuries, when it was capital of the powerful Temurid realm. The historical part of Samarkand consists of three main sections. In the north-east there is the site of the ancient city of Afrosiab, founded in the 7th century BC and destroyed by Genghis Khan in the 13th century, which is preserved as an archaeological reserve. Archaeological excavations have revealed the ancient citadel and fortifications, the palace of the ruler (built in the 7th century displays important wall paintings), and residential and craft quarters. There are also remains of a large ancient mosque built from the 8th to 12th centuries. To the south, there are architectural ensembles and the medieval city of the Temurid epoch of the 14th and 15th centuries, which played a seminal role in the development of town planning, architecture, and arts in the region. The old town still contains substantial areas of historic fabric with typical narrow lanes, articulated into districts with social centres, mosques, madrassahs, and residential housing. The traditional Uzbek houses have one or two floors and the spaces are grouped around central courtyards with gardens; built in mud brick, the houses have painted wooden ceilings and wall decorations. The contribution of the Temurid masters to the design and construction of the Islamic ensembles were crucial for the development of Islamic architecture and arts and exercised an important influence in the entire region, leading to the achievements of the Safavids in Persia, the Moghuls in India, and even the Ottomans in Turkey. To the west there is the area that corresponds to the 19th and 20th centuries expansions, built by the Russians, in European style. The modern city extends around this historical zone. This area represents traditional continuity and qualities that are reflected in the neighbourhood structure, the small centres, mosques, and houses. Many houses retain painted and decorated interiors, grouped around courtyards and gardens. The major monuments include the Registan mosque and madrasahs, originally built in mud brick and covered with decorated ceramic tiles, the Bibi-Khanum Mosque and Mausoleum, the Shakhi-Zinda compound, which contains a series of mosques, madrasahs and mausoleum, and the ensembles of Gur-Emir and Rukhabad, as well as the remains of Ulugh-Bek’s Observatory. Criterion (i): The architecture and townscape of Samarkand, situated at the crossroads of ancient cultures, are masterpieces of Islamic cultural creativity. Criterion (ii): Ensembles in Samarkand such as the Bibi Khanum Mosque and Registan Square played a seminal role in the development of Islamic architecture over the entire region, from the Mediterranean to the Indian subcontinent. Criterion (iv): The historic town of Samarkand illustrates in its art, architecture, and urban structure the most important stages of Central Asian cultural and political history from the 13th century to the present day. The different historic phases of Samarkand’s development from Afrosiab to the Temurid city and then to the 19th century development have taken place alongside rather than on top of each other. These various elements which reflect the phases of city expansion have been included within the boundaries of the property. The inscribed property is surrounded by more recent developments, of which parts are in the buffer zone. Afrosiab has been partly excavated and the Temurid and European parts of the city are being conserved as living historic urban areas. The main listed monuments are well maintained. Some of the medieval features have been lost, such as the city walls and the citadel, as well as parts of the traditional residential structures especially in areas surrounding major monuments. Nevertheless, it still contains a substantial urban fabric of traditional Islamic quarters, with some fine examples of traditional houses. Notwithstanding, there are several factors that can render the integrity of the property vulnerable that require sustained management and conservation actions. The architectural ensembles of Samarkand as well as archaeological remains of Afrosiab have preserved all characteristic features related to the style and techniques and have maintained the traditional spatial plans of the urban quarter. However, inadequate restoration interventions as well as the challenges faced in controlling changes, particularly the construction of modern buildings, and the modernization on private properties have affected the authenticity of the property and make the property vulnerable to further changes. There are adequate legal provisions for the safeguarding of the heritage property. The State Samarkand Historical Architectural Reserve was established under the Decree of the Cabinet of Ministers of the Republic of Uzbekistan (26 May 1982). Within the Reserve all construction and development work is done according to the recommendations of the Samarkand Regional Inspection on Preservation and Restoration of Objects of Cultural Heritage. The overall responsibility of the management of protected areas is with the Ministry of Cultural and Sport Affairs and the Samarkand provincial government. The operating bodies that influence the conservation and management of the property include the Ministry of Culture and Sports of the Republic of Uzbekistan and the Principal Scientific Board for Preservation and Utilization of Cultural Monuments, the Municipalities of the Samarkand Region and Samarkand city, the Samarkand Regional State Inspection on Protection and Utilization of Cultural Heritage Objects. Decisions on construction/reconstruction within the protective Reserve of Samarkand are taken in consultation with the Samarkand Regional State Inspection on Protection and Utilization of Monuments, or by the Scientific Board on Protection and Utilization of Monuments in Samarkand. Major projects receive approval at the national level. The Regional State Inspection on Protection and Utilization of Cultural Heritage is in charge of day-to-day activities related to the monuments such as registration, monitoring, technical supervision of conservation and restoration, or technical expertise of new projects, these are implemented by the Scientific Board on Protection and Utilization of Monuments in Samarkand, which is obtaining the function of a Coordinating Committee and should have the main role to bring together all parties with interest in the conservation and development of Samarkand. Taking into account a scope and a complexity of issues facing the property, site management system could be strengthened through an operational unit. The sustained implementation of the Management Plan is needed to ensure to further improve the cooperation between the various national and local authorities and set international standards for conservation. Several factors that can pose a threat to the conditions of integrity and authenticity of the property need to be systematically addressed through the implementation of an integrated conservation strategy, that follows internationally accepted conservation standards, as well as through the enforcement of regulatory measures. 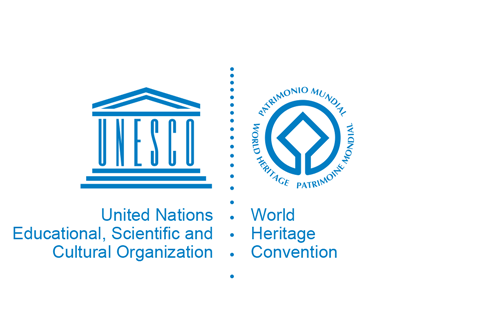 The management system will need to be integrated into other planning tools so that the existing urban matrix and morphology of the world heritage property are protected. Funding is provided by the State budget, extra-budgetary sources and sponsorship. Resources needed for all aspects of conservation and development of the property should be secured to ensure the continuous operation of the management system.